We accept guest posts with good content articles being entertaining and useful to our readers. Opinions or views on slices of daily life, the best moments. Challenges and/or micro-aggression experiences. Highlights with comfort recipes or hideouts discovering travel or local hot spots. Cross- & Third Cultural World citizens are global nomads living in many places and call each one home. Likeminded have more than one interest in common, similar experiences and life enrichments. Share your insights and contribution e.g. on effects of changing to a different environment, joining new communities and cultural experiences. Globetrotters bring stories alive with a brand new view or recognise familiar places. Share your travel notes and/or thoughts while on the road. Food explorers discovering the newest hotspot or food trends. Put your teeth in the craziest bite at a food stall and other tasty finds. You enjoy breaking bread, eat, talk, see, read and write together. Health Lifestyle You are fit or workout regularly in combination with healthy food diet. You understand or seek insight how to heal from within your body with a back-to-basic approach or a new found regimen. Ketogenic lifestyle articles will be posted here soon. Mobile Citizen You are keen to find and try the latest gadgets, apps & devices or technical wizardry. Do write and/or advice with helpful informative reviews and other topics relevant to our readers. Join Asianfoodtrail Urban Community scroll down for the contact form. Fill in your Bio attach writing examples with topics you are interested in to write for us. We don’t have many rules but together with the information, it will make clear what we are looking for in great content articles or infographics to share on a regular basis. 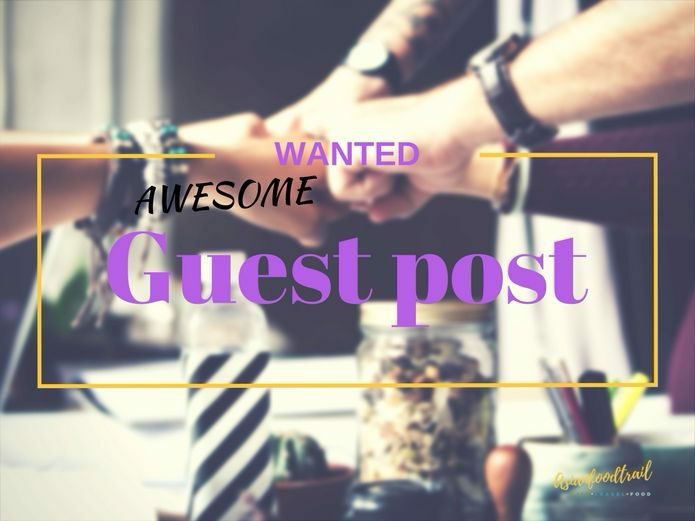 Guest blogger original unique content not copied or republished and exclusive. Topics as mentioned here above Life, Travel, Food, Culture, Health, gadgets & social media all other by requests for submission. Post length and format, articles length range around 500 -650 words or 1000-1500 words depending subject. Do use subheadings H2, H3, H4 and short paragraphs or bullet points. Submit the article in Word doc. format spellchecked (add WordPress Html file for WordPress editor) with other files and include the post in the email body with source attribution. Editorial changes. Please, don’t be offended if we suggest changes. Image and source requirements should all be properly attributed and credited. At least two relevant images (max 695 x 521 wide) attached separately in a folder. At the bottom of the article add an author byline introducing yourself that we can include at the bottom of your article/infographic. Read the byline. Linking policy we might include call-to-action to Asianfoodtrail content, no SEOd anchor text. If submission aligns within our content and editorial check we will respond to let you know the article will be published within two weeks time. 2-3 sentences about yourself, optional: headshot or profile picture. You may include up to 2 links to your website/blog, social media profiles. No linking which may be interpreted as link building scheme or spam no follow. Please submit your blog URL or articles in the form below and we will contact you as soon as we can.